A trade policy workshop held in Dar es Salaam last month concluded the Landell Mills-managed project entitled: ‘Targeted Support to REPOA and Zanzibar Ministry of Trade, Industry and Marketing (ZMTIM) to Increase Competitiveness of Primary Producers and Diversify the Export Base in Light of the Trading Opportunities with the EU’. It was the second and final event organised under the project, with the first workshop focusing on the issues of quality management in the Zanzibar-Pemba export corridor. 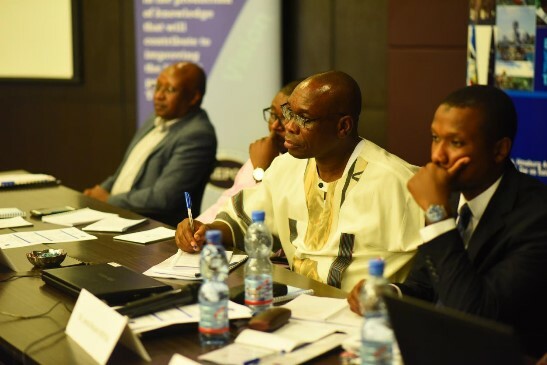 The final policy dialogue workshop, which took place on the 5th March, brought together a range of policymakers and non-state actors, including representatives of the private sector who are involved in shaping the agricultural trade landscape in Tanzania. Previous field work identified bottlenecks that limit the country’s agricultural competitiveness and export diversification, such as poor road infrastructure and costly quality certifications. The findings of this study enabled the project team to draw informed recommendations designed to mitigate these limitations in Tanzania. In addition, the project developed training modules and analytical tools for an independent research institution, REPOA (Research on Poverty Alleviation). These will allow for more detailed analyses of trade in Tanzania and the factors that determine export competitiveness along specific value chains such as horticulture, floriculture, spices and seaweed. It is hoped that deeper analysis of Tanzanian trade will help enhance the country’s international exports and promote sustainable economic growth. The project was commissioned by the EU-ACP TradeCom II programme, which contributes to sustainable economic development and poverty reduction in African, Caribbean and Pacific countries through closer regional integration and increased participation in the global economy. It was launched in May 2017 and promotes sustainable economic development and poverty reduction in the United Republic of Tanzania through closer regional integration and increased participation in the global economy.